I'm 15 minutes from Maple Springs entrance off of Silverado Creek. But I'm a good 2.5 hours from CA City without traffic. Trona Pinnacles is 30 miles Northeast of Ransburg. The closest civilization from there is Ridgecrest, which is about 20 minutes away. Trona is cool. Lots of DS/ATV people there, camping, riding...easy trails. Even my 2WD truck had no issues. Saw a Prius there. LOL! I'm sure they beat it to get there though and maybe scraped its bottom here and there. BD, I know you've done the LA2B2V. That's quite a rally. I'd love to do that rally (easy way) because it just looks epic. First I need way more sand practice. 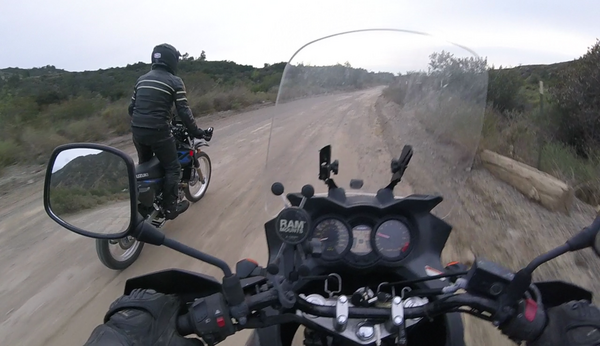 Saw videos of guys on ADV bikes on this rally and they looked like they were getting hammered. Weather is looking good for this weekend. Seat time seat time seat time!!! !MayI suggest you truck your bike to the further spots then ride the terrain? you don't need practice on the slab. However, I'm game to ride with you on Sat after 5 PM. If it’s not raining sure. Do you have my cell? Oh it looks like it will rain...how about tomorrow morning (Sunday) instead? Hi, I'm a dirt noob interested in going up Santiago Peak. I've done it a couple time, from maple sprints to Ortega. If its not raining, at least not hard, I may be up for this. I’m out for tomorrow. Have work to do on my truck and bike. Plus I hate mud anyway so this works out. LOL! BD let’s try next weekend. I woke up at 6 am today and couldn't go back to sleep. Kept thinking about Santiago Peak. 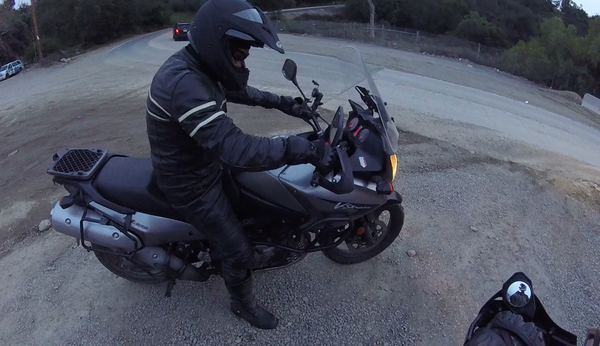 So I suited up and went to Santiago Canyon road to see....it was freezing! 36 degrees! My heated jacket liner and gloves helped immensely but it just couldn't keep up. My hands were cold but they weren't painfully cold thanks to the heat pouring out of the gloves. Still....I turned around and got some hot coffee. LOL! The mountain ain't going anywhere. Daylight savings means light until 6:55pm!!! Next Saturday or Sunday 5:30pm - 7:00pm Trabuco Canyon run! Then in a month or two with light until 8pm we can run to the peak at 5:30pm and be down before it gets dark! Yup. Clear weather this weekend. all noobs are welcome - plated dual sports, adv bikes, plated MX bikes, supermotos, electric bikes, 4x4's, pre-runners, subaru's, etc. Some local roads have closed since March 13, 2018. Won't hurt to try. It does say Maple Spring road is closed. 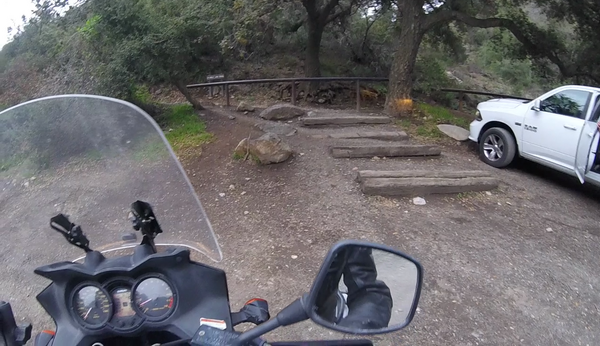 So Trabuco Canyon Road does not have a gate right at the entrance where you get off of Live Oak Canyon Road. The gate on Trabuco Creek Road is farther down the trail in it is the last maybe 20% of the road before you get to Holy Jim Falls and the end of Trabuco Creek Road which is Horsethief Canyon. 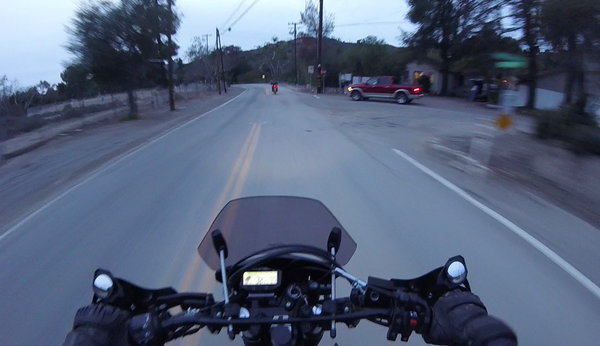 The benefit here is that if you just come to ride Trabuco Creek Road you can get 80% of the ride in then turn around and come back and that's enough dirt bike riding after work. 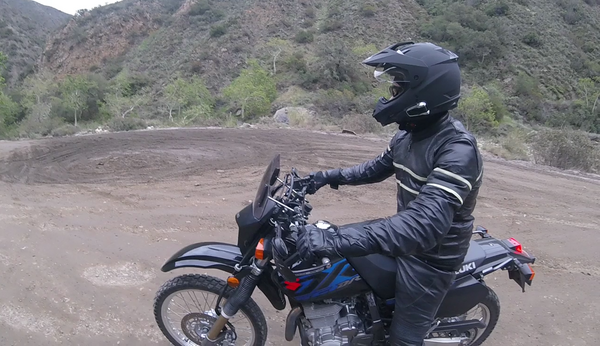 Rogue's first ride on a Vstrom with rocked out suspension! Page created in 0.247 seconds with 57 queries.